When my physician told me that I had developed allergies, I laughed. Sinus congestion and infections had plagued me for years. To me, there was no reason for any type of allergy to suddenly appear. It had to be just another sinus infection. I had just turned 60 and there had to be a mistake. Growing up on a farm and being around animals, grain, weeds and insects, I had never been bothered with sneezing, itchy nose or headaches. In fact, I almost felt immune to ragweed, poison ivy, pollen or any type of allergens. Nature was my life and I could not bear to be allergic to my one true love. The word immunotherapy was mentioned to me. This was new territory in my world and I wanted to learn more. Immunotherapy is a type of treatment for allergen sufferers. Small doses of the very substance that you are allergic to is introduced into your body. The goal is to desensitize your system from certain allergens. However, you must first pinpoint the general type of allergen that is sensitive to your body. My first indication was the spring season. While I loved the fresh air and the sweet breeze, my head would become stuffy and I was unable to enjoy the outdoors. Since I had outdoor animals, as well, my physician combined pollen, pet dander, ragweed, and a few other allergens into my shots. While shots can cover a multitude of allergen symptoms, there is no guarantee that the allergies will disappear like magic. The immunotherapy is designed to help relieve symptoms, not to cure them completely. The most common method of receiving immunotherapy for allergens is through regularly scheduled shots. This form of treatment can cover a number of allergens, such as ragweed, pollen, and dust mites. There are other forms of immunotherapy. Sublingual immunotherapy (SLIT) is a method that comes in pill form, lozenges or drops. While much more convenient than shots, this method can only cover one specific allergen. It is important to try and distinguish the type of allergen that is causing distress. Only then can a trained professional administer the correct treatment plan. Symptoms of allergies are usually easy to spot. Most people get an itchy nose, begin sneezing or develop skin rashes. In my case, however, my head became stuffy, my eyes were red and swollen and I became wheezy. Every individual is different in how an allergen effects them. Knowing that certain symptoms arise when you are around certain situations is the easiest way to determine certain allergies. Not all allergies can benefit from immunotherapy. Some types of allergies are still being tested by scientists and have not been approved by the FDA. These include food and drug allergies. However, immunotherapy treatments are available for pollen, mold, bee stings, pet dander, and dust mites. Immunotherapy shots are scheduled according to the recommendation of your physician. In my case, she suggested a shot twice a week for 3 months. The dosage gradually increased while she watched carefully for any side effects. The most common side effect is the appearance of a rash around the injection site. Since I had no sign of redness or bumps, she proceeded with the treatment. After 3 months, my physician decreased the number of visits to one shot every 2 weeks for 4 months. I am now on a routine schedule of one time per month. While my allergies have not completely gone away, I am able to enjoy the outdoors without being miserable. In fact, I did not realize just how bad I felt until beginning the shots. 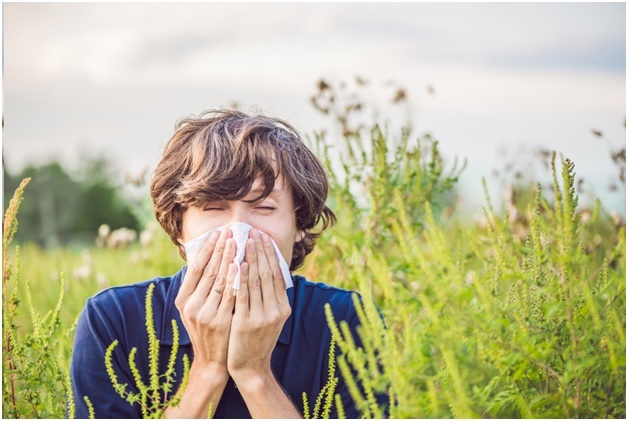 If you are feeling miserable and have never considered that allergies could be the problem, visit your physician for a simple test that can lead you to the right treatment. A new study shows that baby boomers are susceptible to developing allergies due to decreased immune systems. Also, watch your kids and grandkids carefully for signs of drowsiness and sinus problems. New Jersey offers a great team of ear, nose and throat specialists that also serve Philadelphia. Becker ENT Center has several locations that are convenient and can help you deal with the frustrations of allergies. All physicians are Board-Certified and are experts in allergens and immunology. Visit their website if you’re in need of an allergist in Princeton or Robbinsville. I know my anticipation of spring has doubled since beginning the right treatment plan for my allergies.